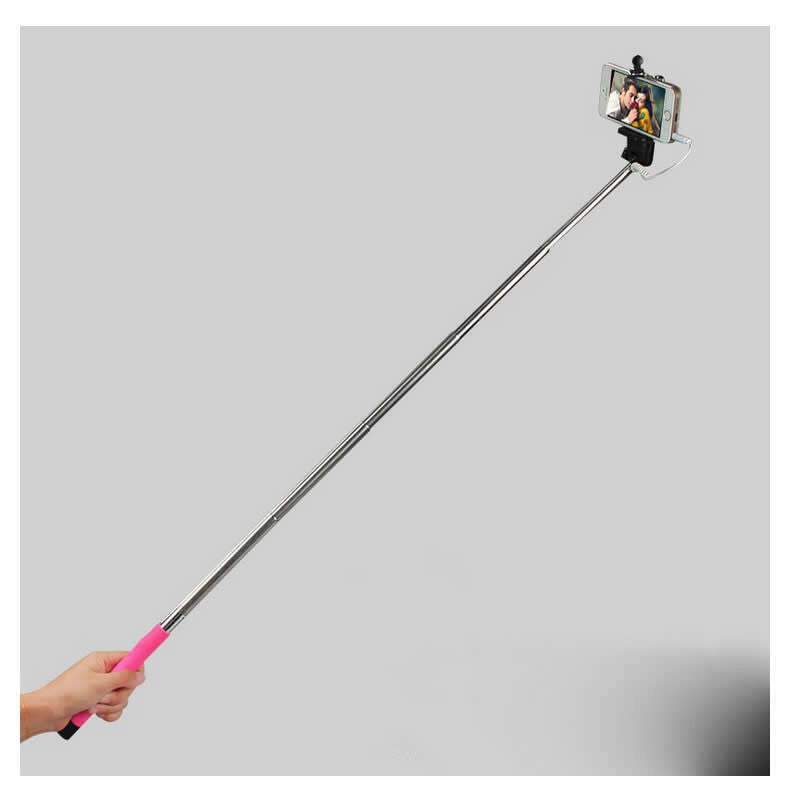 Monopod Selfie Stick that never needs charging with Plus it comes with a FREE BLUETOOTH Remote.The Monopod stick has a cable that plugs in your 3.5 mm audio jack found on any Smartphone and the handle has a remote button to take your selfie, all by single hand which means no two separate device. 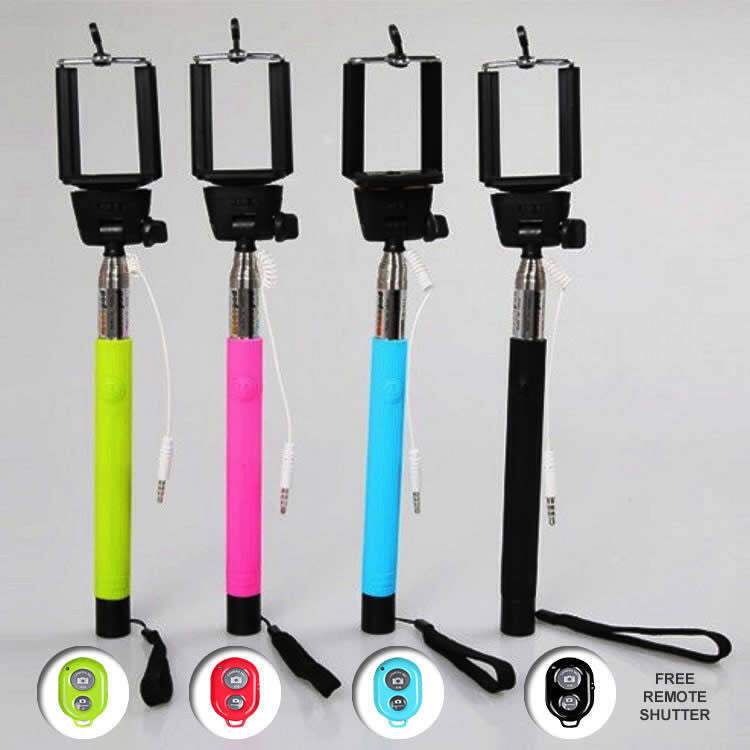 The Monopod stick has a flexible phone bracket holder that can accommodate small Smartphones like iPhone 4 to wide Smartphone like iPhone 6 Plus and Samsung Note and all the variations in between will also work.The Monopod stick will extend up to 4 ft long, the best feature of this is you never need to charge the Monopod stick or connect via Bluetooth. 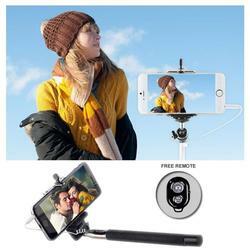 All you need to do is plug in to the 3.5 mm audio jack of the smartphone and you are ready to take pictures.As a BONUS You will also get a FREE Bluetooth enable remote shutter with each order that you can use without the monopod stick.Details:-Monopod Stick extends up to 4ft when open and 9 inches when retracted.-It can accommodate phones up to 3.5 inch wide and can swivel 90 deg to take pictures.-FREE BONUS Bluetooth Enabled Remote Shutter-Compatible with any Apple Phones and any Android Based phones.-Comes in multiple colors.